Cremation ashes are the cremated human remains of an individual after the cremation process takes place. Making any kind of funeral arrangements can be overwhelming for the grieving family. With the high cost of funerals today, many families are choosing simple cremation. 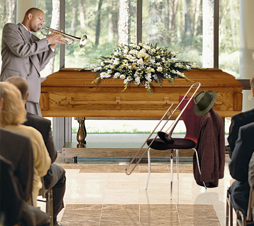 We are introducing to you the sensible, dignified, cost-effective alternative to high cost funerals. Cremation Options is here to make this difficult time easier on you and your family by providing affordable cremation services. We have created this site to provide you with the knowledge needed to make informed decisions. Families have many options to choose from when they are deciding where the final resting place for the cremation ashes will be. You may choose from our exquisite collection of decorative urns for permanent containment of the cremated remains. Family burial lots can be used. Cemeteries usually permit the burial of more than one person in an adult space if cremation was the family's choice. Many cemeteries have designated places for the cremated remains to be laid to rest such as an urn garden or scattering garden. Once the cremation ashes are placed inside of an urn they can be interred in a columbarium, which is a structure where single niche space or family units may be selected. Recessed compartments enclosed by ornamental fronts or glass protecting the engraved urn upon which names and dates are displayed are called niches. It is also very common for the family to decide to keep the cremation ashes displayed at a family member's residence. Scattering the cremated remains at sea or on land is another option. If possible it is wise for the family to meet and decide ahead of time what is best for their loved one. Memorial arrangements should be discussed at this time. This way, one of life's most difficult decisions can be made during a time that is free of grief and confusion. Cremation is just another form of final disposition. Funeral services are the way we, the living, express our grief, celebrate the wonderful life that was lived and it often aids in the beginning of the healing process. A gathering gives closure to friends and family so they can prepare themselves to go on with life. Just because you have decided to have your loved one cremated does not mean your choices are limited. It actually expands your options. You may decide to have a memorial ceremony with or without the cremation ashes present. Many still decide to have a traditional funeral with cremation to follow. In this case, a formal visitation will be held with a funeral service and then cremation will take place. Often family and friends follow in procession to the crematory instead of the cemetery. If cremation has already taken place and the cremation ashes are to be interred in a cemetery then a funeral procession to the cemetery can be chosen as another option so family and friends can witness the burial. A simple cremation can be planned as well without any form of gathering or service. Please carefully consider this option because often families later regret their decision not to have some type of gathering because it leaves friends and family without closure which is needed to begin the healing process. Laws and restrictions vary from state to state, even from one cemetery to the next. The funeral director will inform you of all the guidelines for your state. Depending on the final resting place you choose for your loved one's cremation ashes, requirements could include an urn, urn vault or other items. Cremation Options offers the widest range of choices, customized to your preferences. Our representatives are pleased to arrange personal services reflecting the life of your loved one and the needs of your family. We are part of an exclusive network of cremation and funeral providers throughout the United States. This enables our firm to offer the lowest possible price with the highest quality of service. It is imperative for the families we serve to feel confident that their expectations of service and value were exceeded. We encourage families to choose the form of ceremony or tribute that is meaningful to them. 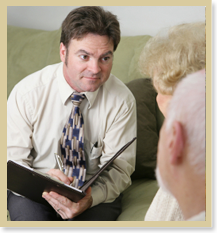 Our caring professionals are here to guide you throughout the entire planning process. We will help you find the appropriate way to celebrate the life of your loved and to mourn the loss of someone you loved. We will personally help you make the important decision of where your loved one's cremation ashes will be laid to rest. We sincerely care on a personal level, not because it is our business, but because it is our way of life. Our compassionate staff treats people as they would treat their own families, with tenderness, dignity and respect. For more information about choosing cremation or about deciding where the final resting place for your loved one's cremation ashes will be please complete the contact us form or contact our firm at any time. We are available for immediate assistance 24 hours a day.